This photo was taken of the daisies in our yard. I don’t have much time for a flower garden but I love flowers. These daisies are perfect–perennial and low maintenance. They keep coming back year after year, despite my neglect! This weekend is a long weekend in most provinces in Canada. Monday is BC Day here in British Columbia. I used one of my annual leave days from work and made it an extra long weekend–4 days. That extra day proved to be a very productive day. I finished this quilt to a flimsy. Today, I will be loading it on the long arm and I will start the quilting. The colouring in the photo is off–it looks blue, but it is really purple. This is a close up of the blocks. 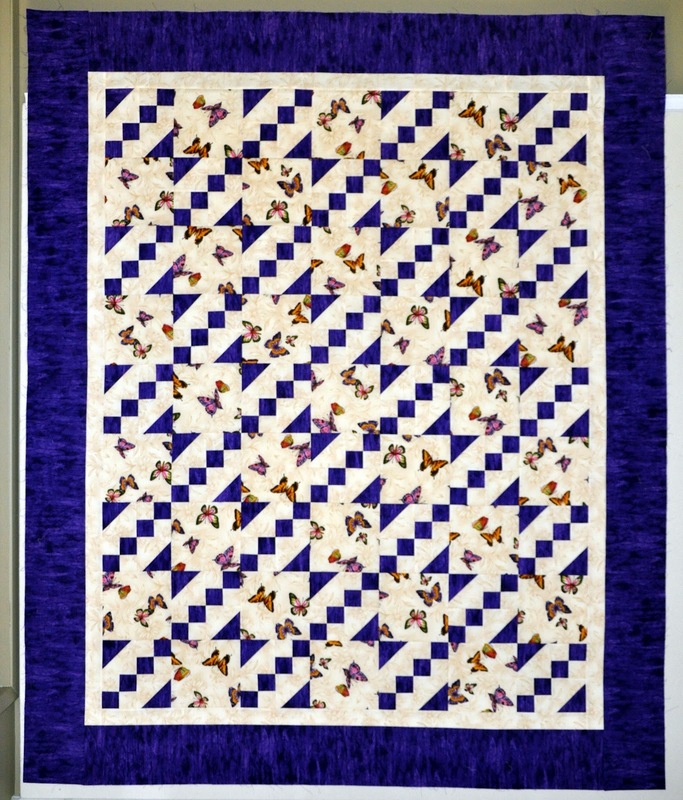 This quilt is called Butterfly Trails from Terry Atkinson’s book, Time Out Quilts. 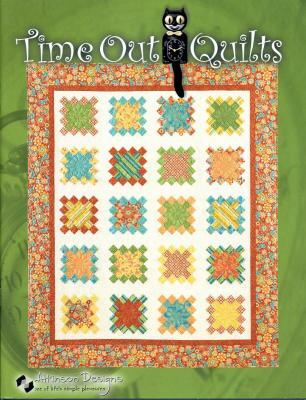 This quilt is lap size–finishing at 63″ x 77″. I love Terry’s quilt sizing. So many patterns say they are lap size but they are really no bigger than something that would cover your legs if you were sitting down. Terry’s quilt sizing is generous–when Terry says lap size, you know you will have something you can cover up with when you are having a nap on the couch with enough quilt to wrap generously around your feet. 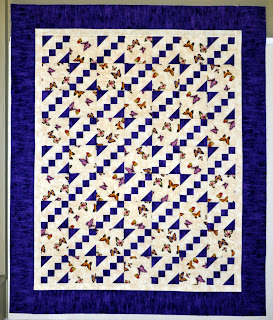 This entry was posted in butterfly trails, flimsy, lap size by Norma Hanson. Bookmark the permalink. Love it—love the shower pics with her holding it up.